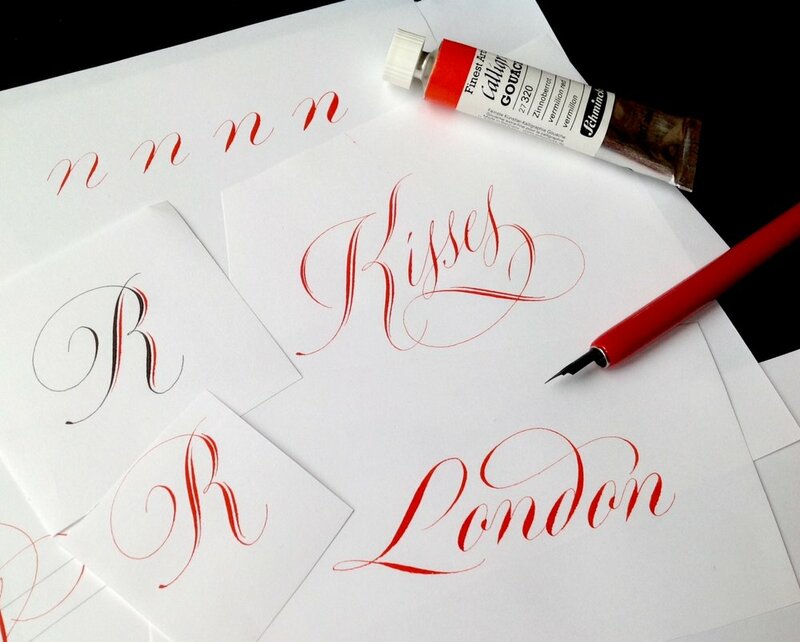 In 2016, British calligrapher and lettering designer, Rachel Yallop, released a back-to-basics Copperplate calligraphy manual that promptly sold out. It's now in its first reprint, so get in touch with Rachel via her website or Facebook page. if you're interested in ordering a copy (or see ordering details below). Adapting her workshop handouts, Rachel has created a "collection of examples to help and inspire", rather than a weighty 'how-to' manual. But don't be fooled by her humble description. 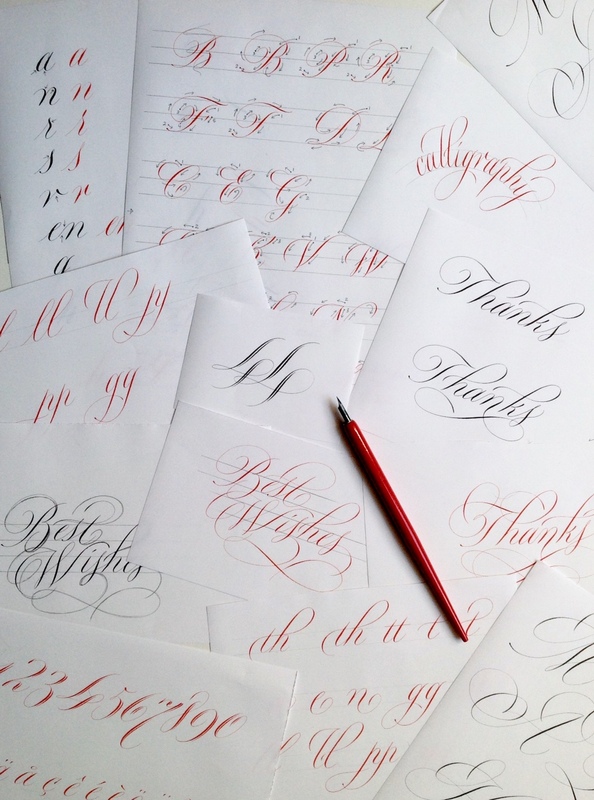 This is still a great guide for anyone learning Copperplate calligraphy script. 50 A4-size pages, printed on 150 gsm silk coated paper with 300 gsm covers. Wire bound so that it will open flat on your table or drawing board. 35 instructional pages covering lowercase letters and capitals, joining and spacing, numerals, weight variations, flourishing and design ideas. 15 pages of gallery pieces. I've been poring over A Simple Copperplate Manual since I bought my copy late last year, and I love the simple styling — black and red font throughout, and how accessible Rachel makes the script. It's a little different from what I'm used to as Rachel's style avoids the 'square tops and bottoms' I've learnt, but I love seeing variations of script to keep things interesting! Her manual has given me courage to try a little flourish! You can pay Rachel by her PayPal web page. You can find out more about Rachel or get in touch with any questions via her website or Facebook page.